Andose – what is it, how is it done? High incidence of internal organs, whether of the digestive tract or respiratory system, etc., lead to the rapid development of methods of their diagnostics and treatment. 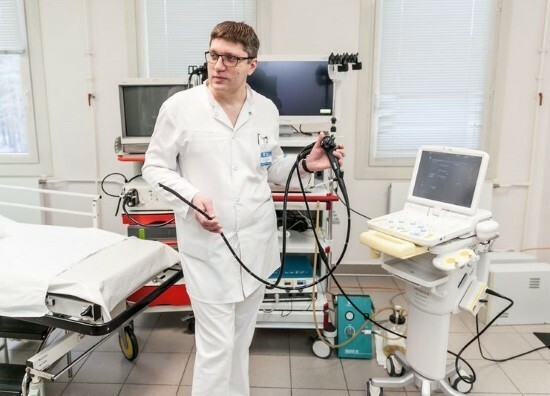 One of the effective methods for the detection of disease is an endoscopic ultrasound or Endose. Endosonography is a combination of ultrasound examination of internal organs and endoscopy, allowing you to bring the ultrasound probe directly to the target organ. A similar procedure is performed in a medical facility after the appointment of the attending physician. As a rule, compliance with the rules of the survey allows to minimize the risk of developing early and late complications, and to increase the efficiency of diagnosis of diseases. Suspected benign or malignant neoplasm of the digestive system, pancreas, or lymph nodes with tumor metastases. The need to detect small stones in the biliary ducts. The identification of neoplastic lesions of the chest cavity. The need to assess the severity of the expansion of the venous channel of the esophagus or stomach in portal hypertension. This assessment has an effect on subsequent therapy. acute abscess and some other States. It is important to note that endosonography can be used not only for diagnostics of pathological processes, but also for therapeutic effects. This is possible, if necessary, hardening of the expanded veins of the esophagus, stops internal intestinal bleeding, or if drainage of the cystic masses in the pancreas. Ensuring high information content of the survey and have a low risk of adverse impacts is achieved through proper preparation of man for the coming of endosonography, particularly. First and foremost, the treating physician must conduct a clinical examination of the patient, as well as the General analysis of urine and blood. These routine procedures are required to exclude diseases of the internal organs, which the patient may not know or silent. In addition, it is important to collect accurate allergic anamnesis, in particular concerning allergic reactions to medications, as well as to conduct studies of blood coagulation. Compliance with the recommendations on training of person to survey allows to speed up the rehabilitation process and to improve the quality of the data obtained during the study. For 8-10 hours before examination the patient is not allowed to drink or eat, and if the study will pass through the large intestine, the ban on food begins one day before the procedure. In the latter case, clean the colon, using either drugs or an enema. On the day of examination do not recommend Smoking, because nicotine promotes salivation, which may hinder the interpretation of diagnostic results. It is very important to hold a conversation with the patient and explain to him the meaning and purpose of the upcoming procedure and possible risks. How is Andose? The procedure itself is similar in appearance to conventional fibroezofagogastroduodenoscopy (EGD). Man is placed on his left side and slightly bend his legs at the knees. 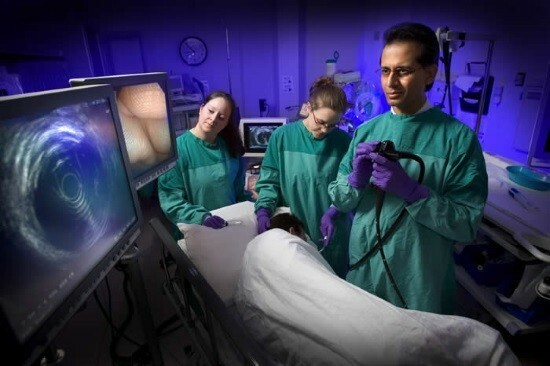 The endoscope is gently inserted through the mouth or through the nasal cavity into the lumen of the pharynx and esophagus, allowing your doctor to explore located next to lungs and lymph nodes with an ultrasonic sensor. 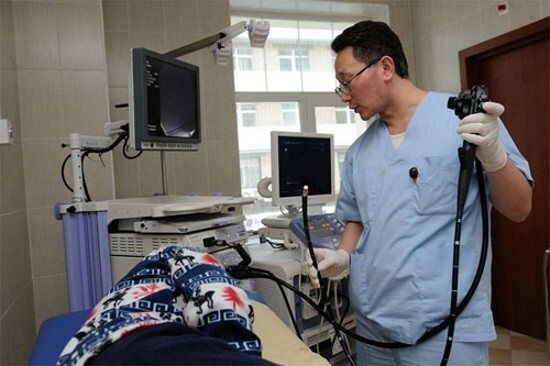 Advancing the endoscope further into the stomach, the doctor can assess the condition of its walls and located near the spleen and pancreas. When holding the sensor into the duodenum assessed and patency of biliary ducts and pancreas head, which is often localized to the tumor process. The study is performed using sedation (medication sleep), or in patients receiving sedative medications. In particular, sedation is required when performing biopsy of suspicious entities or when doing research through the colon. The procedure can take from 20 minutes to 2 hours, depending on the purpose of the survey, as well as the need for additional biopsy or surgery. infectious pathology involving the lungs or zhelchevyvodjashchih ways. When complications arise, the procedure must stop and to start providing medical care. The development of such complications is extremely rare. Often after the manipulation, there is a slight discomfort and light drowsiness, if the study was conducted with the use of sedation. READ X-rays of the knee joint – what shows the picture? 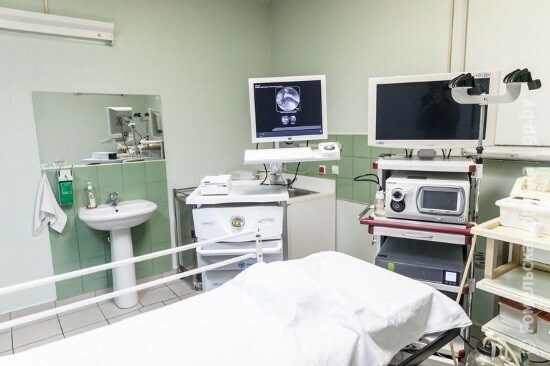 The average cost of endosonography, particularly ranges from 4 to 10 thousand rubles depending on the location, the skill of the doctor and necessity of additional manipulations, such as biopsy or surgical impact. Endosonography – a modern method of diagnosis of diseases of the internal organs of the thoracic and abdominal cavities. Rational use of this procedure allows to detect even small pathological changes, and put the correct diagnosis at an early stage of the disease. This allows time to appoint the appropriate treatment and achieve recovery even in the case of cancer. It is important to remember that this examination is always carried out in the direction of a physician, after the patient proper training with assessment of his health. Severe heartburn what to do — can ultrasound of the stomach? Alternative to EGD of the stomach: which is better, than you can replace examination? Esophagoscopy what is, how to do?